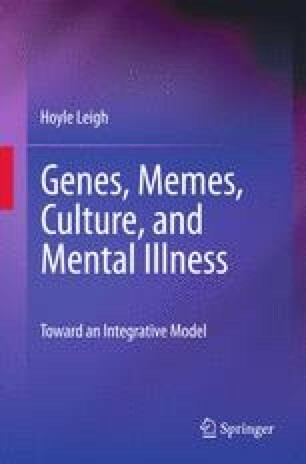 Memes are portable memory and are stored in the brain. Short-term memory involves sensitization of synapses while long-term memory entails structural change of neurons through genetic engineering at the neuron level. Repeated synaptic stimulation activates a prion-like protein, CPEB, which activates mRNA to make protein for new synaptic growth and perpetuate it. Explicit memory involves consciousness and integration of potentiated neurons in the brain. Hippocampus is essential in converting short-term explicit memory into long-term. Learning fear involves potentiation of circuits involving amygdala. Working memory involves the temporary storage and manipulation of information necessary for the task at hand where the frontal cortex plays an important role. Memory (and thus meme) has been shown to be representable as a binary brain code representing activation of specific clusters of neurons. Such neural clusters representing memory undergo Darwinian evolution in the brain, forming the basis of evolution of memes in the brain. Thus, memes may become potentiated and dominant or attenuated and dormant. Dormant memes may be awakened by a fresh connection to newly introduced memes. Dreaming may serve an off-line meme-processing function.